Behind our stylish façade is a sophisticated combustion system that uses the cleanest, most efficient fuel source on the market: bioethanol. Bioethanol is the fuel of the future, today. And its evolution has been remarkable. Because the combustion of bioethanol is clean you can lose the chimney and the flue and keep the heat in the room. That's what makes burning bioethanol fuel so efficient and effective. Burning bioethanol fuel creates a beautiful lively dancing orange flame that is simply mesmerizing. 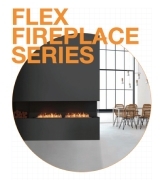 And because they don't need a flue or chimney you can now enjoy an open fire more easily than ever before - even in a high rise building. 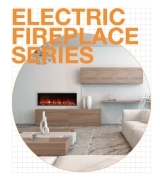 e-NRG bioethanol is the ONLY fuel suitable for use in your EcoSmart Fire. Your local distributor can assist you with sourcing e-NRG and provide you with information on the safe use of bioethanol. Visit www.e-nrg.com. smoke and ash when you choose bioethanol. Bioethanol - or simply 'ethanol' is a renewable energy source made by fermenting the sugar and starch components of plant by-products - mainly sugarcane and crops like grain, using yeast. It is also made from corn, potatoes, milk, rice, beetroot and recently grapes, banana and dates depending on the countries agricultural strength. Why is it Clean Burning? EcoSmart Fireplaces are fuelled by bioethanol, a renewable liquid fuel produced from agricultural by-products which burns clean - no smoke, no sparks, no fuss. The combustion of bioethanol produces Heat Steam and Carbon Dioxide. The combustion of bioethanol results in a clean emission: Heat, Steam and Carbon Dioxide. Carbon dioxide is absorbed by plants. It is then processed via photosynthesis to help the plant grow. This infinite cycle of creation and combustion of energy makes bioethanol a carbon neutral fuel source. Formulated for use in ventless ethanol fireplaces, e-NRG is the cleanest, most efficient liquid bioethanol fuel on the market and produces the best flame each and every time. e-NRG is a renewable energy source distilled from plant by-products. e-NRG produces no harmful emissions - just heat, steam, and carbon dioxide. 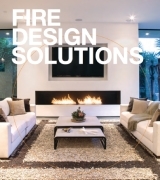 Built-in flame arrester, simple operating procedures and accessories that allow for safe and easy fireplace refueling. Because e-NRG requires no venting it is an incredibly efficient fuel source. Never lose heat up a chimney or flue again! 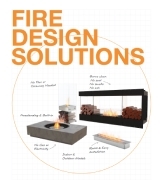 An ideal fuel source for discerning designers seeking ultimate fire design flexibility because no hard utilities are required. fueling process on the market. Formulated with the perfect blend of isopropyl and methyl alcohol for a brilliant orange flame. e-NRG is supported by an operational procedure to ensure it's used in the safest way. The bottles are fitted with a flame arrester for safe refilling and their proprietary accessories make the process as simple as possible. e-NRG produces no harmful emissions, just heat, steam and carbon dioxide which is re-absorbed by plants. High quality ingredients ensure the purest burn with the lowest odour possible. e-NRG bottles pour 8x faster than the competition.